Migration looks to be in full swing now it is the middle of September with new birds passing though on a daily basis. Water is once again being sprayed in the spray fields and is attracting a few birds. Small numbers of Yellow Wagtails are present along with two Isabelline Wheatears and a large flock of over 500 House Sparrows. A single Purple Heron was next to one of the areas of standing water but was very flighty and flew off before I could get close to it. 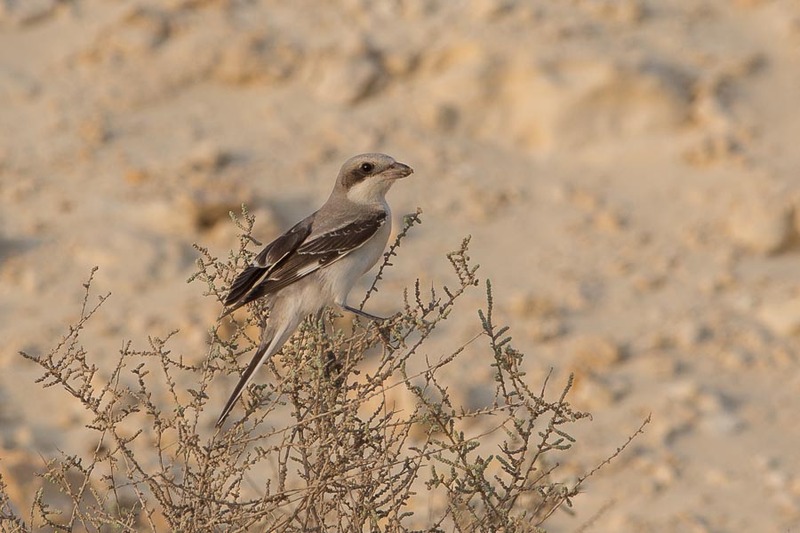 Shrike numbers have been relatively low so far but one Lesser Grey Shrike was feeding on beetles along the side of the spray field. These are the first Lesser Grey Shrike and Purple Heron I have seen in the camp this autumn. The percolation pond was devoid of any birds with the exception of two Isabelline Wheatears on the dried up pond bottom. 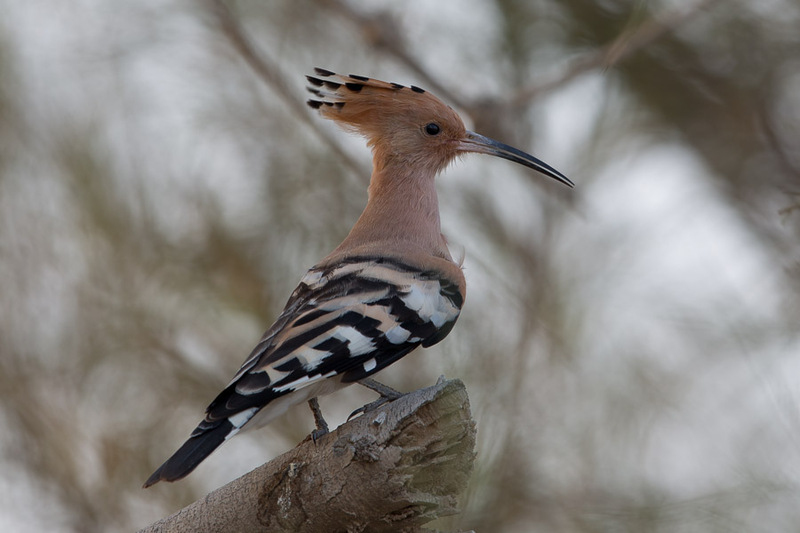 The trees around the pond were fairly lifeless but one Eurasian Hoopoe was seen perched in one tree and the Purple Heron from the spray fields was seen in the top of another. 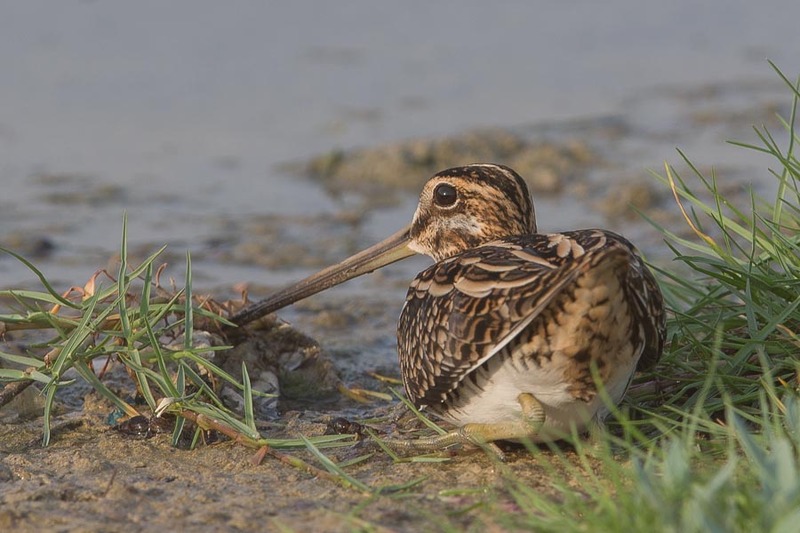 The drainage ditch held a few waders as always with a nice Common Snipe pretending it was a rock as well as a couple of Little Stints, one Wood Sandpiper and one Green Sandpiper. 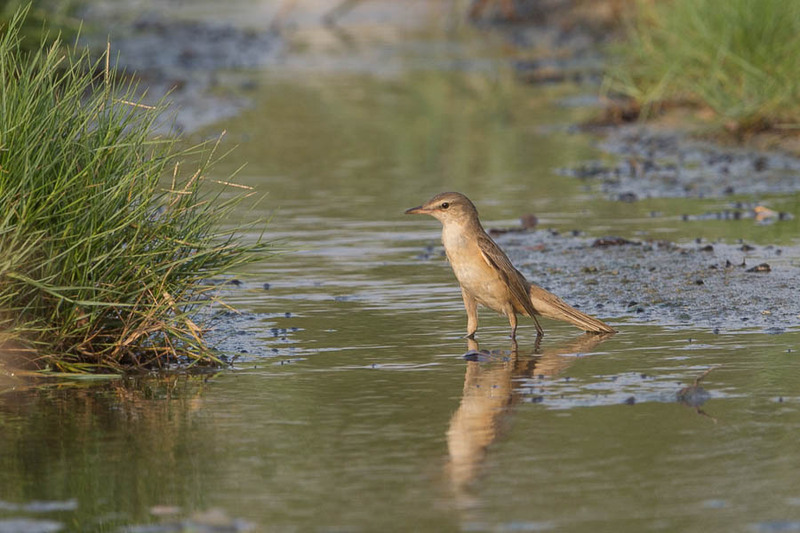 The most interesting bird was a Clamorous Reed Warbler that flew down from the reeds and landed in the water where it appeared to be eating insects from the water surface? 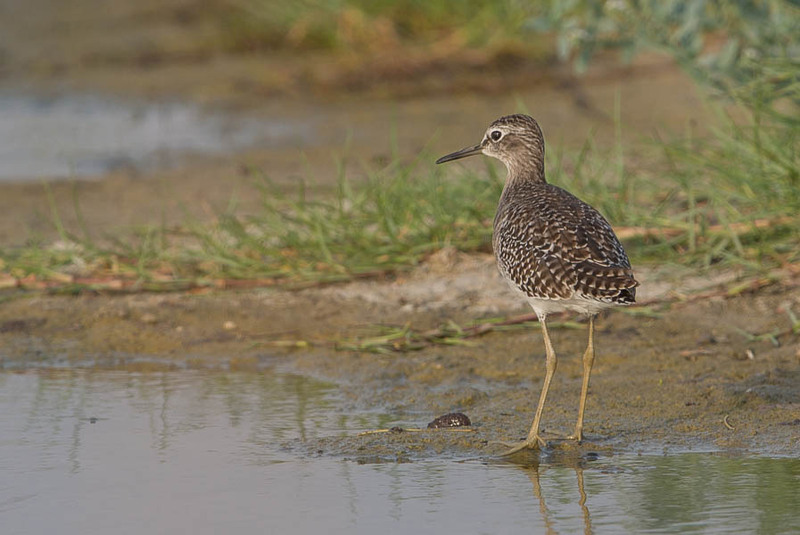 They are not uncommon in the camp but it is not often they are seen out for the main reed beds.